This SSSI was designated as a National Nature Reserve in February 2013. The site, which is one of a series of oceanic heaths along the coast of Wales, is special because of the variation in altitude found there: on the north-westerly coastal slope the heath is 10 metres above sea level but it rises to 564 metres at its highest point. Although other heathland in Wales, notably in the Preseli Hills in Pembrokeshire, show similar variation in altitude none are as close to the coast or as affected by the close proximity of the sea as Yr Eifl. Another special feature of this NNR is the Iron Age Hill Fort which is one of the largest and best-preserved in Britain. It has been the subject of considerable restoration work. 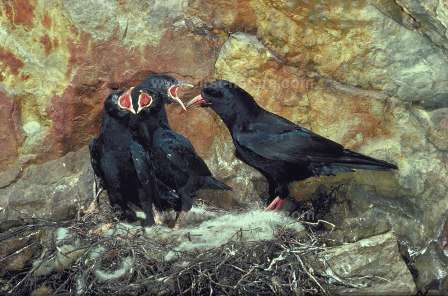 Yr Eifl is also home to Choughs Pyrrhocorax pyrrhocorax. The populations of Choughs are in steep decline and they are a priority species for conservation and protection. Yr Eifl NNR is managed by Natural Resources Wales (NRW).